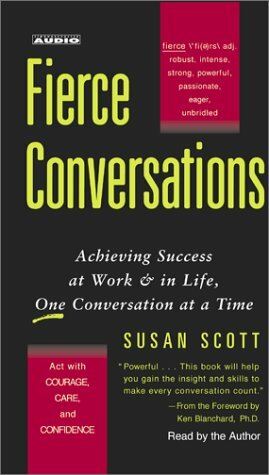 Fierce Conversations is the master guidebook to transforming the conversations that are central to your success, offering a new way of relating to people -- at work, and in every area of your life. Susan Scott's firm, Fierce Conversations, Inc., is an internationally recognized leader in executive education focused on achieving results through skillful and courageous dialogue, providing Fierce Conversations, Fierce Leadership, and Fierce Coaching programs for CEOs and company leaders. For fourteen years, Scott ran think tanks for executives through TEC International, an organization dedicated to increasing the effectiveness and enhancing the lives of CEOs around the world. Previously Scott served as vice president of the Pace Network, a search firm in Seattle, and also as regional manager for Context Associated, a training organization headquartered in San Francisco. Raised in Tennessee, Scott now lives in Seattle.